The backbone of the book is an essay devoted to the milieu of painters, sculptors, photographers and thinkers in the period from the late nineteenth century until the outbreak of the Second World War. During this period, this colony of artists transformed itself into the intellectual centre of Polish culture, and comprised a rich tapestry of different attitudes, styles, fascinations as well as frustrations. However, this milieu did not just develop on ‘a rock’ but in the context of the lively and rich culture of the Podhale region, from which they derived as much as they gave back. This book presents readers with a rich and fascinating history. The author has skilfully chosen representative and visually impressive examples from the extensive materials that are available. 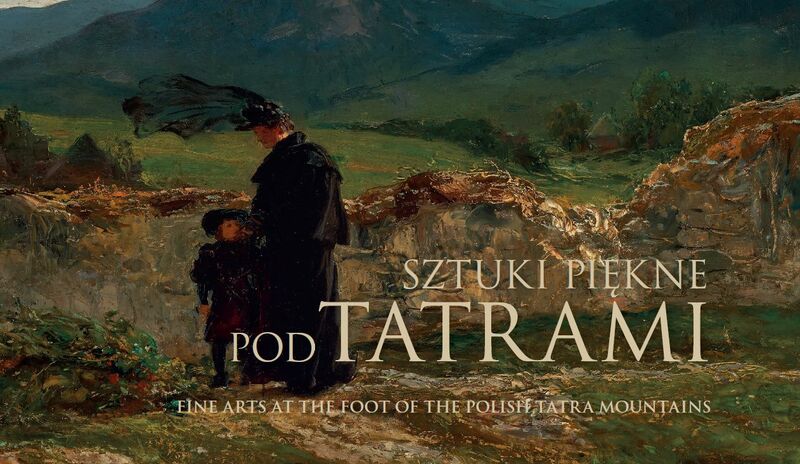 Hopefully, they will satisfy both art experts and popular readers who – perhaps for the first time – will learn about the cultural phenomenon of the Polish Tatra Mountains and Zakopane. Although there is no dearth of individual monographs of artists, research papers, detailed studies and exhibition catalogues (mainly owing to the publications of the Tatra Museum and the Polish Tatra National Park), up to now there has been no publication that has brought all these diverse materials together.